I have been a software engineer for most of my life but until I joined Wix I had not worked in a place that put engineering as a core value. In Wix I had the opportunity to change that and one of my main goals was to create a great engineering team and a company with great engineering culture. One of the reasons I took upon myself this task was selfish, I wanted to work at a place that I will be happy to come to work every day, to be challenged and a place that software engineers can be proud of their profession. Another task that I had ever since I joined Wix, was to grow the engineering teams and bring on more developers. This was in perfect alignment to my own agenda since I believe that in order to attract the best software engineers we had to create a great engineering culture, promote it, share our knowledge with the community and by doing so to be more attractive and competitive to attract talented engineers. Operating in a highly competitive area with many startups and deep pockets companies like Google, Facebook and Microsoft the options for good software engineers are endless. The best way to attract talent is not by offering extra high salary since we would always lose to larger and more established companies like Google or Microsoft which can always outbid anything we can offer. Having a great engineering culture, giving back to the community and taking care of our employees is a great way to compete and attract professionals. In any case this has been my theory and now for the second year I can say it is working pretty good for us. Looking at Google trends I have compared search keywords for people who are looking for a job at the leading companies here in Israel. Comparing “wix jobs” to “google jobs” and “facebook jobs” (and others) resulted in Wix being the #1 in this search term. Of course this is not a scientific data but the assumption is that software engineers are more likely to search these terms in English, while other non technical employees will probably search in Hebrew. Investing in people, engineering and culture pays back ! Today I have a special treat for all the readers. “When over 40M users host their website on Wix we need to handle both large scale traffic, lots of data and also to be highly available (after all we can’t let 40M websites to have down-time). At Wix we handle over 700M HTTP requests per day to serve and edit websites. If you plan to attend QCon London 2014 I also have a promotion code. Just enter “MORD100” in the registration form and get £100 off. Usually when we think of “brogrammers,” we picture Silicon Valley hipsters that may have graduated from college, but can’t leave the frat house behind. The reality, according to Evans Data survey of more than 1,400 programmers, is somewhat different. For one thing, while popular culture celebrates the idea of developers as pizza-eating loners, the data suggests otherwise. According to Evans Data, 71% of developers are married and only 3% are divorced (compared to a 40% divorce rate nationwide). Roughly 68% of developers have between one to three children. Only 32% are childless. Most developers are married with children. Not surprisingly, then, most developers aren’t particularly young. Of the 18.2 million programmers on the planet, most left college long ago. While the median age has been falling for years, in North America the median age is still a reasonably stodgy 36. Lastly, while brogrammer culture is rightly derided as juvenile, it apparently has flourished among a highly educated workforce. We may celebrate the dropouts like Bill Gates and Mark Zuckerberg, but 85% of developers have college degrees, 40% have Master’s degrees and another 5% have doctoral degrees. In other words, developers should know better. There have been numerous academic studies of patent trolls, but the FTC will be able to use subpoena powers to learn far more about the business than any of these studies. The commission will be able to learn about trolls’ corporate structures, how much they make, and where the money is really going. The data it collects about individuals trolling organizations will not be made public, but the FTC will likely publish aggregate information. The agency could even file antitrust lawsuits if it believes patent trolls are hampering competition. Few years ago, before the social networks explosion everybody knew that it is important to keep your identity hidden and not to reveal any personal information about yourself. People used nick names and not shared personal information on the web. But as time passes where more and more services were being used in the cloud and social networks became popular we have lost all control of our privacy and personal information. Lets take for instance Google and see just how much information Google know about us. It started with email services like Gmail where Google knows all about our personal correspondence. Even if you didn’t fill any personal information when you signed up for Gmail just by reading your emails the information there is priceless. Then we use Google calendar, where Google can learn about who we meet, what is our schedule and routine and significant dates and events in our lives. Other people reveal information about you and you don’t even know it. Even if you are not using Gmail Google knows a lot about you. People who do use Gmail have you in their contact and fill in your email, address, phone number, birthday and even your picture, and you have no control or knowledge that they did. Even if you do try to keep private by using nick names on the internet, well in order to register to message boards like Google groups you fill in your email, and there you go Google and cross your nick name on the internet with your real identity. The use of cell smart phone now puts a location tracker in our pockets, so now in addition to all the other vast information Google have on us, it also knows exactly where we are at all times. Adding Google wallet lets Google also know what we buy from whom and when. Not only what we are looking for in a search but potentially what we also buy offline (given cell phone payment will take off in the next couple of years). Adding other services like note taking - Google knows out thoughts, YouTube and play - our taste in movies music books and what we like to play. Given all these “Free” services we use Google know anything and everything about us, our lives, our friends and relatives. Adding Google+ and circles to the equation Google knows our relationships to other people interest, how we look like, what we like on the web and our hobbies. The last piece of information is Google voice where Google knows who we speak with about about what. While Google knows anything and everything about us, it is not just Google. Cloud services and social networks like Facebook hold a lot of information about us too. While we use these services more and more and rely on them in our daily lives we basically pay these “free” services with our privacy and no matter how much you try to keep information out of the web you have no control about what information your friends and family are sharing about you. What do you think, is loosing your privacy a small price to pay for free services? Can you trust commercial companies to keep this information safe ? Dmitry Argarkov rewrote a credit card application sent to him by Tinkoff Credit Systems. The bank signed off on it without reading the fine print. Then he sent it to Tinkoff Credit Systems. They approved it and sent Argarkov a card. But they hadn’t read the fine print. Oleg Tinkov, founder of Tinkoff Credit Systems. The 42-year-old man from Voronezh, near the Ukraine border, put in some other nuggets: The bank would pay him $182,231 if it closed Argarkov’s account. If the bank did not honor his rules, Argarkov would fine it $91,115. “He could afford to buy an island somewhere in Malaysia, and the bank would have to pay for it by law,” said Argarkov’s attorney, Dmitry Mikhalevich, according to the Russian news site Kommersant. A judge sided with Argarkov this week and said the amended contract was legally valid because the financial institution had approved it. Everybody knows the terminator where artificially intelligent machines are attempting to exterminate what is left of the human race. 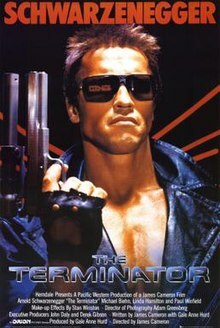 However before artificial intelligence took over the machine there was (and still is) the original terminator created by man which is often used to terminate zombies. In order for continuous delivery to work the organization has to go a cultural change and switch to Dev-Centric Culture. Continuous delivery gives a lot of responsibility in the hand of the developer and as such the developer need to have a sense of ownership. At Wix we say that it is the developer’s responsibility to bring a product / feature to production, and he is responsible from the feature inception to the actual delivery of the product and maintaining it on the production environment. In order to do that several things have to happen. The developer has to know the business and be connected to the product he is developing. By understanding the product the developers makes better decisions and better products. Developers are pretty smart people and they don’t need to have product specs in their face (nobody actually reads them). Our developers work together with the product mangers to determine what the product for the feature should be. Remember while the actual product may have several features bundled together for it to be valuable for the customer, we develop per feature and deploy it as soon as it is ready. This way both the product manager and the developer get to test and experience each feature on production (it is only exposed to them via Feature toggle) and determine if it is good enough, and may cause the direction of the product to change not according to plan, and actually develop a different next feature than the planned one. Developers are taking ownership on the whole process, which means that they are the ones that need to eventually deploy to production. This statement actually changes the roles of several departments. What the company needs to do is to remove every obstacle in the developers way to deploy quickly on his own to production. The operations department will no longer be doing the deployments. What they will do from now on is to create the automated tooling that will allow the developers to deploy on his own. Operations together with dev will create the tooling to make the production environment visible and easy to understand to developers. Developers should not start a shell console (ssh) in order to view and know what is going on with the servers. We created web views for monitored metrics of both system and application metrics and exceptions. As bizarre as all this sounds, the surprising thing is how much sense it actually makes (from a criminal’s point of view). Valdez was not only able to use Facebook to communicate with his friends and loved ones; he also received information from a friend warning him about a SWAT team member hiding in nearby bushes and advising him to “stay low.” While this is obviously illegal (I wouldn’t be surprised if the sympathetic poster has been arrested) at the time it may have been very useful to Valdez, allowing him to circumvent the communications blackout usually enforced by police in these situations. Like most armed standoffs, there was no escape for Valdez in the end: he shot himself in the chest as the SWAT team stormed the motel, and is now in critical condition. His hostage was freed, unharmed, so there is a happy ending to the story.